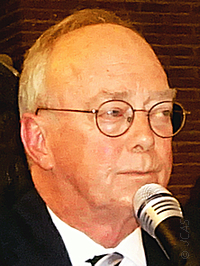 John P. Cann, oficial-aviador da Marinha norte-Americana na reserva, fez parte do gabinete do Secretário Auxiliar da Defesa para Operações Especiais e Conflitos de Baixa Intensidade e, depois, do gabinete do Subsecretário de Estado da Defesa. Doutorado em Estudos de Guerra pelo King's College, da Universidade de Londres, tem publicado artigos sobre o tema da contra-insurreição. Prestou também serviço no Pentágono e no comando Ibérico da Nato, em Oeiras. 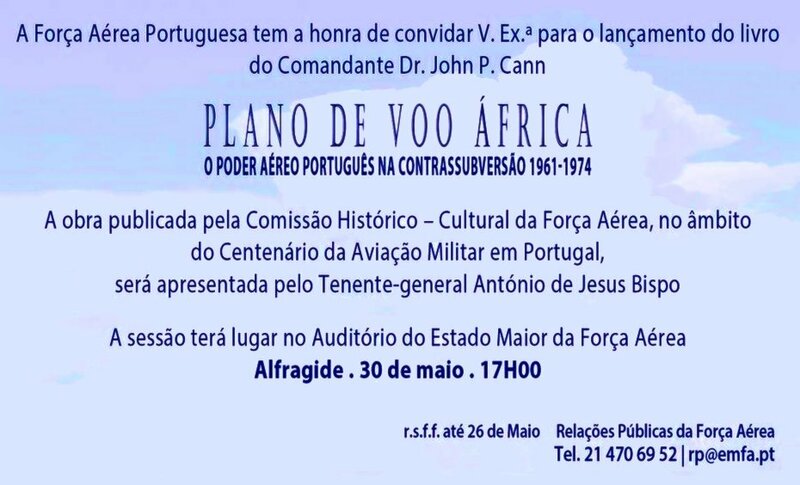 título: "Plano de Voo África - O poder aéreo português na contrassubversão 1961-1974"
"Flight Plan Africa: Portuguese Airpower in Counterinsurgency, 1961-1974"
Following the 1952 reorganization of the Portuguese Air Force from the army and naval air arms, Portugal now had an entity dedicated solely to aviation that would bring it into line with its new NATO commitment. As it proceeded to develop a competence in modern multiengine and jet fighter aircraft for its NATO role and train a professional corps of pilots, it was suddenly confronted in 1961 with fighting insurgencies in all three of its African possessions. This development forced it to acquire an entirely new and separate air force, the African air force, to address this emerging danger. 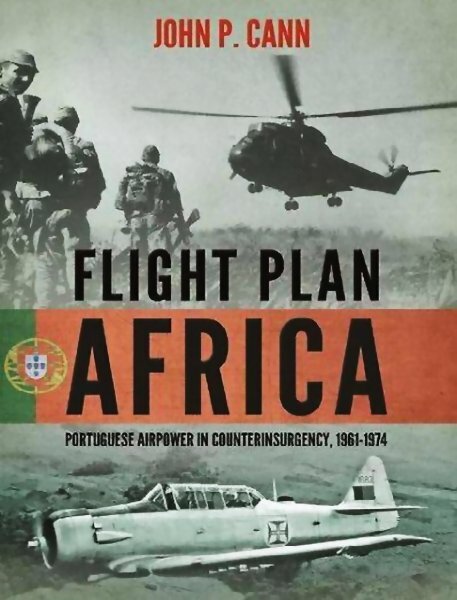 This is the story of just how Portuguese leadership anticipated and dealt with this threat, and how it assembled an air force from scratch to meet it. The aircraft available at the time were largely castoffs from the larger, richer, and more sophisticated air forces of its NATO partners and not designed for counterinsurgency. Yet Portugal adapted them to the task and effectively crafted the appropriate strategies and tactics for their successful employment. 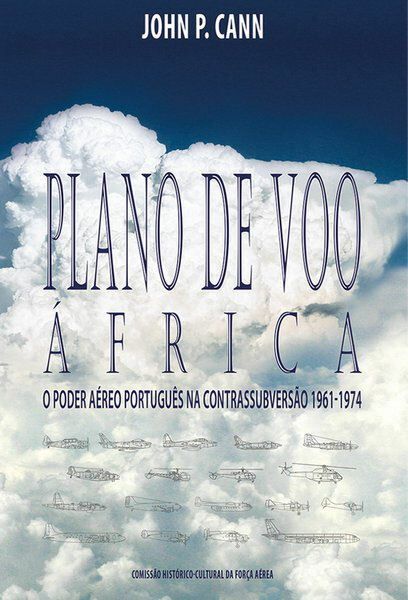 The book explores the vicissitudes of procurement, an exercise fraught with anti-colonial political undercurrents, the imaginative modification and adaptation of the aircraft to fight in the African theaters, and the development of tactics, techniques, and procedures for their effective employment against an elusive, clever, and dangerous enemy. Advances in weaponry, such as the helicopter gun ship, were the outgrowth of combat needs. The acquired logistic competences assured that the needed fuel types and lubricants, spare parts, and qualified maintenance personnel were available in even the most remote African landing sites. The advanced flying skills, such as visual reconnaissance and air-ground coordinated fire support, were honed and perfected. All of these aspects and more are explored and hold lessons in the application of airpower in any insurgency today.